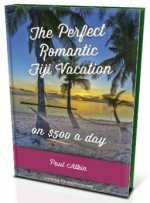 Fiji, sometimes known as the Fiji Islands, and officially known as the Republic of Fiji, has 332 islands, around 110 are inhabited, and 500 islets. The total land area adds up to be 18,300km² or 7,100 miles². 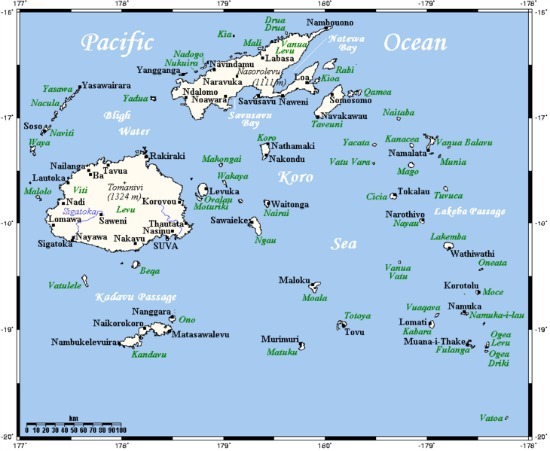 The estimated population of Fiji is 896,000 (est. July 2013). 87% live on the two biggest islands of Viti Levu and Vanua Levu, with most living along Viti Levu's coastline. 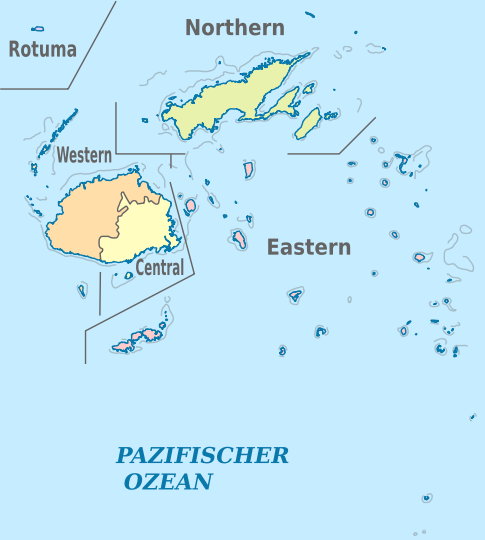 During the reign of Ratu Seru Epenisa Cakobau, Fiji was divided into 3 governments or confederacies. 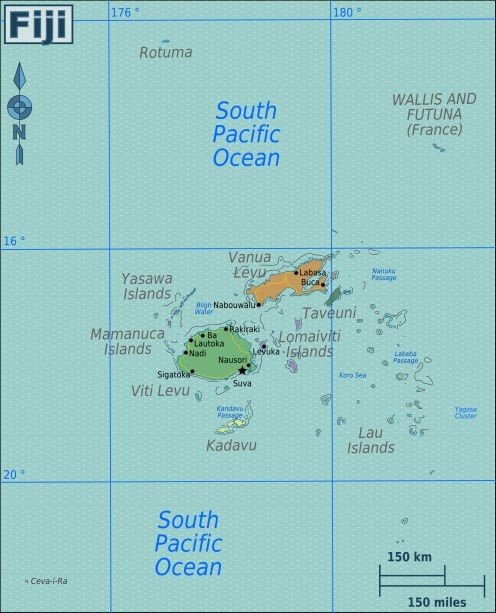 They are not considered political divisions per se, but is considered important in the social divisions of Indigenous Fijians. The warlord Ratu Seru Epenisa Cakobau reigned as the King of Fiji (Tui Viti) from 5 June 1871 - 10 October 1874 and was responsible for uniting Fiji's warring tribes to establish a united Fijian kingdom. Rotuma is a remote dependency of Fiji, although they are ethnicly (Polynesian) and linguisicly different to that of Melanesian Fiji. They are known as Rotumans.